Have you just bought a new home or signed the lease on a new apartment? You’re probably excited and a little overwhelmed thinking about all that has to be done before the big move. But while your mind is swirling with thoughts of packing peanuts and boxes, don’t forget to do the preparations for those very special members of your family – your pets! You may not think about how this will affect your furry friends, but moving puts a lot of stress on animals. They don’t know what’s happening and then they are thrust into an unfamiliar environment with lots of commotion as you unpack. But don’t worry, helping your pets feel safe and comfortable is just a few steps away! Do you want to know more? Keep reading to discover our top tips for helping your pets feel comfortable in their new home. Your pet is going to go through a lot of changes, so it’s important to keep their old routine during the moving process. While you may not think it’s a big deal, skipping a walk one day or being late for feeding time can cause a huge disturbance in your pet’s life. When helping your pets stay on schedule consider setting an alarm on your phone so you don’t forget in the hustle of packing and unpacking. When you set up your new home, keep their things in the same room they used to be in at your old house. If their pet bed was always in your bedroom, find a spot in your new bedroom for it. This will help them keep any of their routines, such as napping in your bedroom during the day. The first thing you probably want to do when you move into your new home is to start unpacking so you can make your new house feel like home. Let’s face it, eating takeout for every meal is only fun for a day or two until your stomach starts to betray you. During this time, you may get so busy and caught up with unpacking that you forget to comfort your pet. One of the best ways to help pets adjust to a new home is to give them plenty of love by petting them and playing with them every day. Do you have a skittish kitty that’s been hiding all day? While many pets need attention to help them relax, some pets (especially cats) may want to be left alone. If your cats fall into this category, don’t pressure them to come out before they’re ready – this is their way of coping with all the changes happening around them. You can help pets relax by turning this room into a safe space for them. Keep it quiet and make sure your children aren’t running around the room looking for their kitty. You should check to make sure your cat is still eating and using the litter box. If they aren’t, try to coax them out of hiding with their favorite treat. You may also opt to move their food bowls and litter box closer to their hiding spot for the first couple of days. Has your pet been having behavioral problems since you’ve moved? Maybe they’ve been having accidents around your new home or they’ve been scratching the couch. You may feel tempted to yell at them – watching your new carpet get soaked in urine is definitely infuriating. But there are many stress-related behavior problems in cats and dogs, including accidents, aggression, and furniture scratching. Yelling at your pet will only increase their stress and make the problem worse. Instead, you should help pets relax by playing with them or talking to your vet about anxiety medications. Are you tempted to get rid of as much stuff as possible before the move? New home new stuff – right? There’s nothing wrong with getting rid of your stuff to make packing easier, but you should keep your pet’s old belongings. Dogs and cats have an amazing sense of smell. Bringing their old pet beds, toys, and scratching posts to your new home will help them adjust by giving them a familiar scent. If one of your pet’s things is in dire need of being replaced, you may opt to replace it a few months before the move. That will leave plenty of time for your pet to get used to it and let it absorb the smell of your home. Are you moving within your local area? If your new home isn’t too far away, you can help your dog adjust by taking them for walks in your new neighborhood before you move. Start a few weeks before the move, if possible. This will give your dogs enough time to familiarize themselves with the new area and route. This way, when you finally make the move, your dog will have one familiar thing to comfort them. You may be looking forward to inviting all your friends and family members over for a killer housewarming party, but you should hold off on this for a little while. Your pet is already feeling overwhelmed with all the new sights and smells of their new home. Inviting tons of people over will make your pet feel even more stressed, especially if you don’t normally host parties at home. You can help pets feel safe and comfortable by keeping the house quiet for the first few days or weeks. Every pet is different – some may adjust in a couple days, while others take longer. Once your pet seems to have adjusted, wait a few days to a week, then you can start planning your party! If you’re preparing to move into a new home (or apartment), you shouldn’t forget how the transition may affect your furry family member. Stress can manifest in unusual behavior or behavior problems in animals. Follow our tips to help pets adjust quickly and feel comfortable in their new home. Did you find this article helpful? 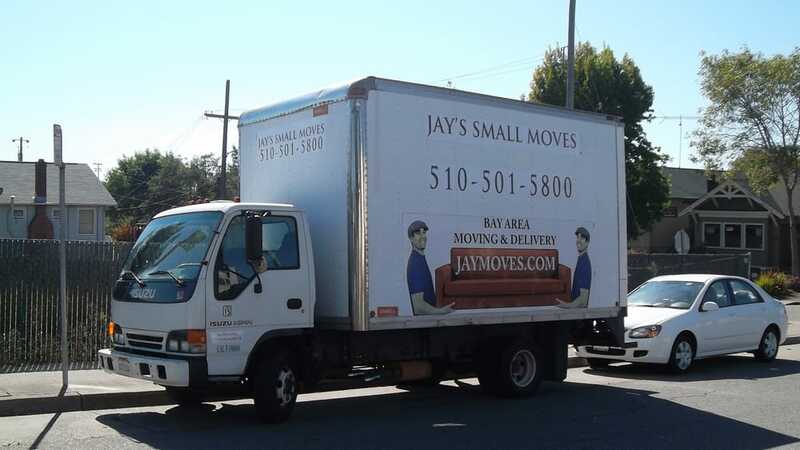 Check out our blog for more great moving advice!